But what’s really needed to improve education for Aboriginal and Torres Strait Islander students? Dr Kevin Lowe of Macquarie University, an education researcher and Gubbi Gubbi man from south-east Queensland is one of a team of 13 academics from 10 universities who systematically reviewed and interrogated over 10,000 studies between 2016-2018 to shed light on the educational experiences of Aboriginal and Torres Strait Islander students and their families. The purpose of the project is to critique policy and practice and to provide research-informed directions on how education could be structured to provide success for students. That student’s Indigenous identity as an Aboriginal and/or Torres Strait Islander student needs to be understood and supported by the institution. Empirical evidence demonstrates that racism negatively impacts the experiences of Aboriginal and Torres Strait Islander students from primary school, through high school, and to later life. The impacts on students are harmful, wide-reaching and life-long. They influence academic achievement, self-concept attitudes to language, emotional wellbeing, physical health, school attendance, and post-school pathways – and eventually school choice and engagement when those students become parents. In future, professional learning practices must more genuinely (a) ensure that Indigenous peoples contribute to leading these activities, (b) explicitly address issues to do with culture, (anti) racism, power, and relationships in schooling, and (c) localise the politics of knowledge. Curriculum must be developed locally, at the institution level in order for students to understand what the teacher has to teach. Place-based decision-making is crucial for effective learning. Authentic, purposeful and relationally based engagement between institutions and Aboriginal communities lay the ground for successful student engagement. Approaches to learning must engage students emotionally, as well as behaviorally and cognitively. The involvement of parents and community and having local staff employed and supported make a positive difference to remote students’ success. That parents’ value and are invested in programs that speak directly to providing their children with effective teaching, high value programs that are seen to support students’ identity and cultural connection. As a former TAFE Teacher, Dr Lowe recommends TAFE educators reach out to students and find out how they define success from an Indigenous perspective by discovering their aspirations.‘At TAFE it is so important to tease out the question of success as it can be about so much more than outcomes for Aboriginal students. Just taking that approach leaves so many attributes ignored. Success can be linked to community well-being and a strong commitment to deepening knowledge of place based local learning’ he said. 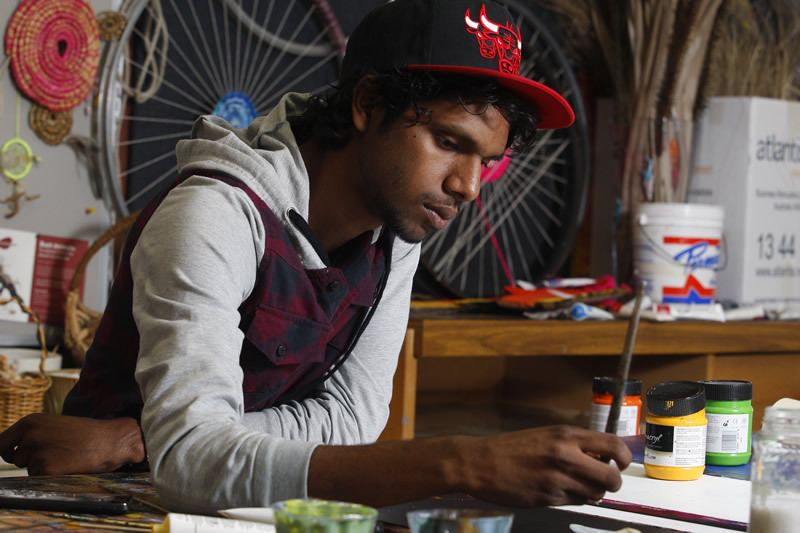 ‘While all the kids I’ve ever spoken to said they wanted a job at the end of their course, Aboriginal kids also say they want to be identified and valued as Aboriginal. Having confidence that the TAFE and teachers have high expectations and recognize their student identity is connected to culture, place and family will ultimately build resilience and stronger students’.